Go long on expression and style! 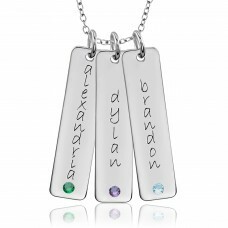 Add some pizzazz to your Tall Tag with a birthstone. Names can be stamped vertically or horizontally in POSH or Tanner font. 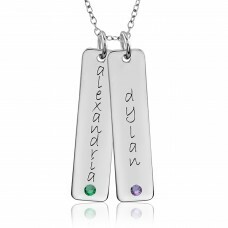 Sport your Birthstone Tall Tag in sterling silver or 14K gold. Tall Tags can be engraved horizontally or vertically in your choice of font. 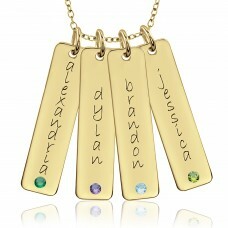 Sport four Birthstone Tall Tags in gorgeous 14K gold. 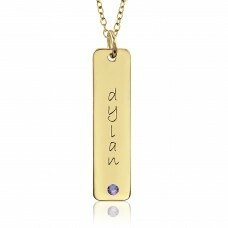 Tall Tags can be engraved horizontally or vertically with two choices of font. Sport two Birthstone Tall Tags in silver or 14K gold. 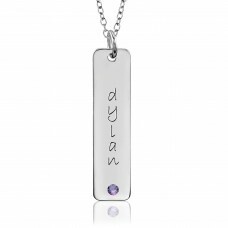 Tall Tags can be engraved horizontally or vertically in your choice of font. 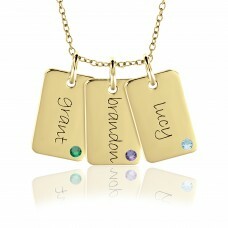 Sport three Birthstone Tall Tags in silver or 14K gold. 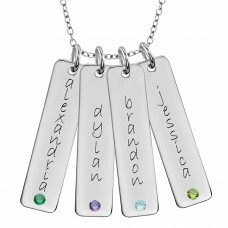 Tall tags can be engraved horizontally or vertically with your choice of font. 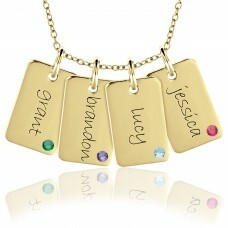 Sport four Birthstone Tall Tags in silver or 14K gold. 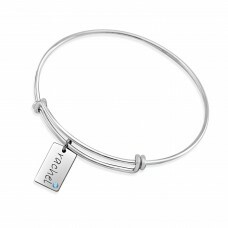 Tall Tags can be engraved horizontally or vertically with two choices of font. In silver or gold, POSH Mini Tags shine and sparkle with a birthstone. 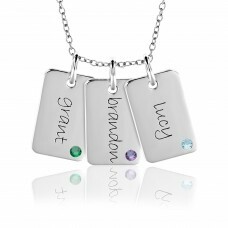 Wear your Birthstone Mini Tag with another Mini Tag or mix it up with a Mommy Disc or Tall Tag. 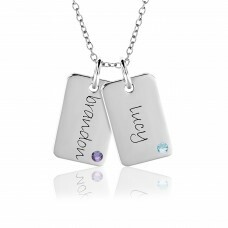 Two POSH Birthstone Mini Tags are better than one! 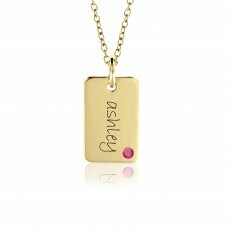 In silver or gold, POSH Mini Tags shine and sparkle with a birthstone.